See scan - very good condition. 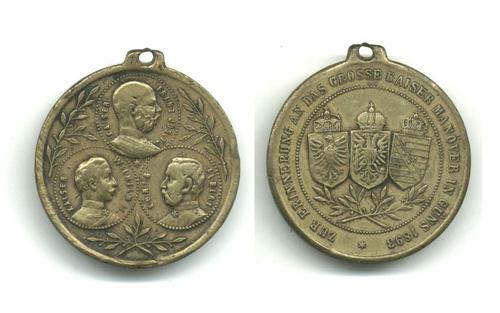 This is a nice and scarce Austrian Royal bronze medal commemorating the joint army maneuvers of the Austrian, German and Belgium states. Front shows 3 portraits of the Royalties / kings and reverse shows the 3 Coat of Arms / crests with wreath and text surrounding them. Nice military / militaria collector piece and one of the rare Austrian medals.